This isn’t your typical gyno. Learn about the local doc who recently opened Elevate MD, a new practice with a spa-like atmosphere where you can get everything from a yearly exam to cosmetic services, hormone replacement therapy, body contouring and more. 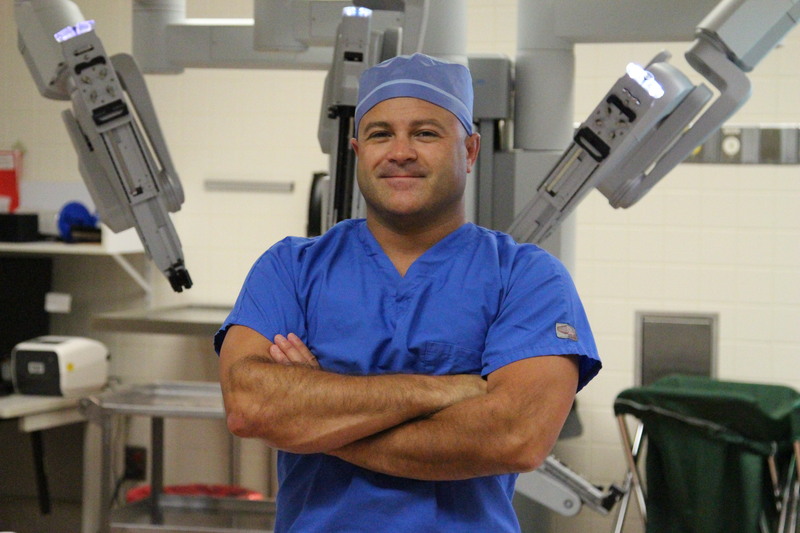 Dr. Joseph Franzese is the physician behind Elevate MD. You don’t typically look forward to an OB/GYN appointment. But one local doc aims to change that. Dr. Joe Franzese started Elevate MD in order to give his patients an approach in care that was centered around them. He wanted to provide those clients with quality treatment plans that combined both functional and conventional medicine in order to care for the whole person. “We understand health and well-being are personal, and we pride ourselves on spending time with each individual to ensure you reach your health and wellness goals,” explains Franzese. Elevate MD is located in a state-of-the-art facility that hosted its grand opening on November 30, 2018, and offers a full range of yearly exams, making it much more than just a gynecologist’s office. Franzese says his practice is now accepting new patients and even has a number of special offers that includes complimentary consultations for cosmetic services and hormone replacement therapy. Other services offered in the practice include skin care products, pleasure enhancing shots, and even high-quality supplements. What makes Elevate MD different, aside from its medical offerings, is that Franzese is the only physician in the Tri-State area participating in Millennium TBI program, which helps both civilians and veterans affected by traumatic brain injury. “I’m humbled by the opportunity to help those who protect and serve our country,” adds Franzese. To learn more, visit www.elevatemd.com. You can also follow along on Facebook, Instagram, Realself, and Twitter.